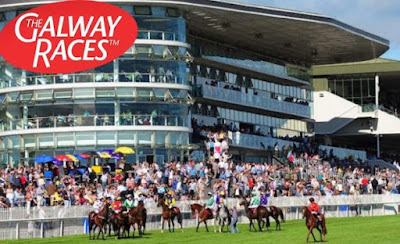 On Tuesday we back in Ireland for the day's feature race, the 1M 4F Oyster Listed Stakes at 4.35 . 12 runners declared for 50,000 guaranteed. 1M 4F Oyster Stakes, on ground described as soft (heavy in places ) . Not the strongest looking listed race ,though still an interesting contest .The three main contenders are Airlie Beach , Red Stars & Pearl Of The West . AIRLIE BEACH : 7-Y-0 Bay mare , winning 1 out 2 on flat ,though is useful (144) rated hurdler (winning 6 races ) Won 2 mile maiden at Tramore last time in good style ,though that was very weak race .Not easy to weigh up over this shorter distance ,though looks interesting contender for Willie Mullins stable . PEARL OF THE WEST : 3-Y-0 Bay Filly ,winning 2 out 8 ,shown progressive form this season,including bolting up in handicap over C&D at Galway in July .Also finished creditable 2ND in decent looking handicap at Curragh last time .Looks open to improvement .Each-way claims . VERDICT : RED STARS will need to bounce back to form,after two below par efforts in group company this season,though the only listed winner in the field, sets decent standard on the pick of last seasons form .The return to Listed company on testing ground looks sure to suit .Odds around 5-1 look solid value.